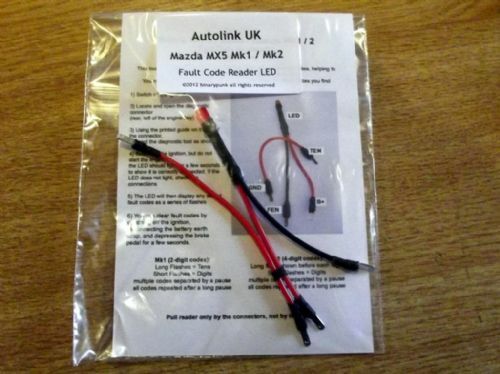 Use and interrogation of the Engine Diagnostic Connector, Mazda MX5, by John Cookson. NM00181. Use and interrogation of the Engine Diagnostic Connector, Mazda MX-5, by John Cookson. 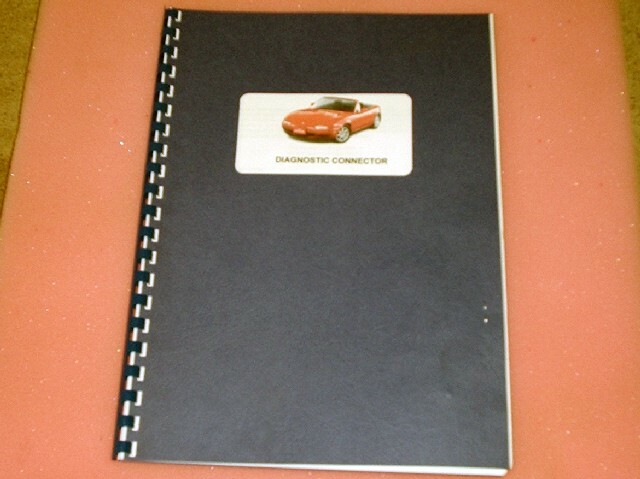 This manual explains the function and use of the diagnostic connector situated near the air filter. Suitable for Mazda MX5 1.6 & 1.8 mk1 & Eunos Roadster. Now has the fault codes for the late mk1 & mk2 models, 1996-2000. It does not apply to later models fitted with the OBD-11 diagnostic system. The manual comes with an LED and instructions on how to make your own test probe. Note the ABS codes are on a different system and they are not stored, so you can't read them using this. Mazda dealers can read them if they are actually happening at the time, but even then they aren't reliable, often blaming the pump or the ABS computer when it's a wheel sensor. ABS diagnosis is done by checking the sensors with a known good one or a multimeter. Normally it's front left (in about 75% of cases).